Steffen W. Schmidt is affiliated with the League of United Latin American Citizens. He was born and raised in Cali, Colombia. Iowa State University provides funding as a member of The Conversation US. The Democratic Party shouldn’t count on Latinos swinging many midterm races their way this year. Approximately 27.3 million U.S. Latinos are eligible to vote in November’s midterm elections – 12 percent of all eligible voters, according to the Pew Research Center. Democrats hope that this big bloc of voters will punish Republicans for President Donald Trump’s anti-immigrant policies. They are courting Latinos in red states like Arizona and Florida. But the so-called “Latino vote” has always been more promise than reality for Democrats. My political science research indicates that a Latino blue wave is not likely to tip the upcoming election in Democrats’ favor. To start with, immigration status limits the political impact of this group. According to U.S. Census Bureau figures, only 44 percent of U.S. Latinos are eligible to vote, a lower proportion than Asian, African-American and white voters. Latino voter turnout has also been historically low. In the 2016 U.S. election, Pew finds, only 48 percent of eligible Latino voters cast a ballot, compared to 65.3 perent of whites and 59.6 percent of blacks. Gerrymandering of congressional districts and onerous voter registration barriers also significantly diminish Latinos’ voting power. Some U.S. Latinos are highly likely to vote, including older voters with a college degree and Cuban-Americans. But just one in three voting-aged Latinos under 29 voted in the last presidential election. Turnout was even lower among Latinos with less than a high school diploma. Fully 20 percent of U.S. Latino voters fall into this low-turnout category. The impact of the Latino vote on Senate and House races in 2018 is likewise limited by geographic factors. More than half – 52 percent – of all Latinos eligible to vote live in California, Texas and New York. Congressional candidates in these states already understand the power of Latino voters, who have been decisive players in at least two dozen districts since the 1980s. Candidates successfully target Latino constituents in their media campaigns and outreach work. In four big swing states, on the other hand – Georgia, Iowa, North Carolina and Ohio – Latinos make up 5 percent or less of eligible voters. As a result, Latino voters may be decisive for Democrats in just a handful of races: those occurring in states with competitive districts and significant Latino populations, including Virginia, Florida, Texas, Arizona and California. In my view, the Latino vote could help push Democrats to victory in just seven races in five states. These include Virginia’s 10th district, in the suburbs of Washington, D.C.; Texas’s southwestern 23rd and suburban seventh districts; Florida’s 26th district, which includes Miami; and Arizona’s Tucson-based 2nd district. The assumption that Latinos outraged by Trump’s immigration policies will come out en masse to vote against his party reveals another errant assumption about this voter segment – namely, that all Latinos care about the same things. The Latino demographic is as diverse as any other population in America. It is a mistake to think that any 27.3 million eligible voters would rally around the same issues – even Trump’s immigration policies. The facts show that Latinos vote based on the same array of factors – gender identity, profession, religious affiliation, economic class, education – as other groups. According to Gallup, Latino voters are concerned about health care, jobs, the economy and inequality. Just 12 percent cite immigration as their primary concern. Some Latinos, like other Americans Trump targeted during his campaign, are themselves weary of undocumented immigration. Gallup polls over the past six years find that an average of 67 percent of Hispanics have said they worry “a great deal or fair amount” about illegal immigration. That is 10 points higher than non-Hispanic white respondents and 12 points higher than black respondents. The truth is, we just don’t know enough about the preferences of Latino voters. No more than half a dozen polls out of hundreds target the Latino voter segment exclusively. What polling is done on Latinos is often not well-designed. Many Latino political leaders I’ve interviewed say that exit polls cannot accurately define who is a Latino and that surveys do not draw from representative samples of Latino districts. 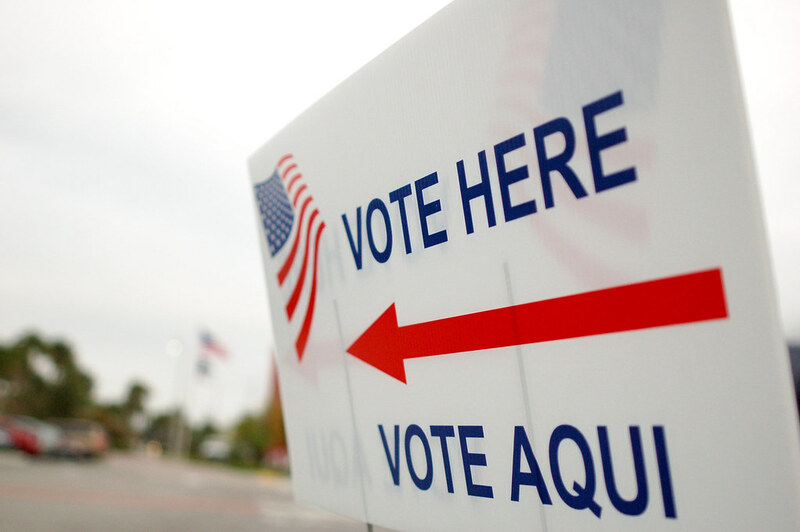 As a result, their projections about Latino voter behavior are often inaccurate. Here’s an example: Nearly all the analysts and anchors I interviewed from Telemundo, Univision and CNN en Español before the 2016 election agreed that Trump would win very few Latino voters. In fact, it appears that 28 percent of Latinos voted for Trump. That’s just shy of the average 30 percent of U.S. Latinos who usually vote for GOP candidates and a reflection of the conservative social values many Latinos hold about abortion, LGBTQ issues and big government bureaucracies. All that said, I do believe 2018 will be a sharp and significant test of Latino voter behavior in the United States – more so than the 2016 presidential election. Back then, Trump was just a candidate and his anti-immigrant tirades could be passed off as campaign rhetoric. Now, many U.S. Latinos and their families are feeling the direct impact of the president’s policies, including a crackdown on undocumented immigrants, the inhumane treatment of Central American asylum-seekers and the legal limbo inflicted on the young immigrants known as Dreamers. If Latinos do abandon Republicans in significant numbers this November, Trump will have endangered his own party’s political future by finally alienating the largest and fastest-growing community in the United States.